It’s May and that means it’s vegetable gardening time for many people. In these days of skyrocketing food prices, more and more families are turning towards growing their own vegetables – and why not? It’s fun, it’s healthy, and it saves money on your food bills! Some late season plunder from my vegetable garden! The delicious, wholesome crops you produce will lead to healthier eating habits and tending a vegetable garden, whatever the size, is great exercise. 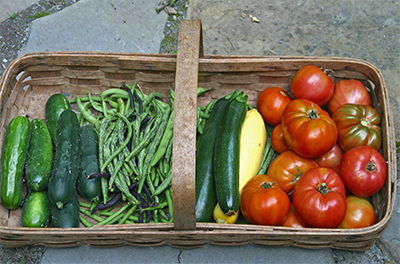 Plus, home-grown vegetables tend be of high quality and have fantastic flavor when fresh picked. Grow a variety of tomatoes for for a colorful display on the table! 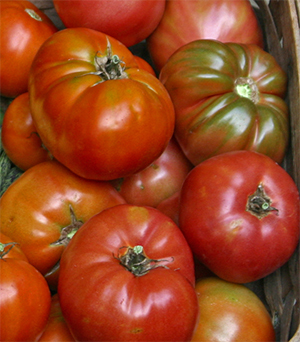 One of the most popular vegetables grown in the home garden is the tomato. Well, technically, I should correct myself because a tomato is really a fruit but, regardless of what you call it, I think everyone will agree that fresh, home-grown tomatoes are amazing! Tomatoes are popular because, not only are they delicious, but they are relatively easy to grow and can be grown almost anyplace where there is a nice patch of full sun. You don’t even have to have a big garden space to grow tomatoes; they can grow successfully anywhere you can fit a nice sized container – a deck, terrace, patio… Just provide them with good soil, full sun, water, a stake for support, and a little food every so often and you will be rewarded with lots of tasty tomatoes. This tomato has been devastated by one of the fungal blights. 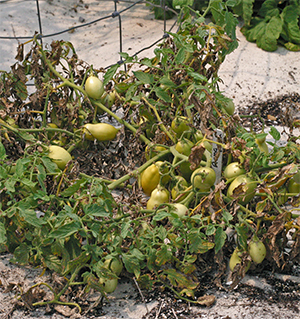 Last season, an unusually cool, wet spring combined with some unseasonably cold, humid nights in August created the perfect conditions for the proliferation of fungal and bacterial diseases that consequently infected many tomato crops. Some people watched helplessly as their entire crop of tomatoes was wiped out in less that a week by late blight, a disease caused by the fungus Phytophthora infestans! This is the same fungal disease that devastated potato crops in Ireland causing the Irish potato famine in the 1850’s. Recently, we have received a lot of questions about how this will affect the crop this year and what can be done as a preventative measure to avoid the recurrence of these diseases. Many fungal diseases, including early blight, septoria leaf spot, Fusarium and Verticillium wilts, and late blight, can be minimized by following a few simple cultural practices. The number one recommendation is to rotate your crops! Don’t plant your tomatoes in the same location in the garden that they were planted last season (or where you had potatoes planted either). If your tomatoes were planted in a container and you experienced disease problems last season, get rid of that soil and start fresh with a good tomato soil mix. Select disease resistant tomatoes. Disease resistance should be indicated on the label. Give your tomato plants plenty of space. 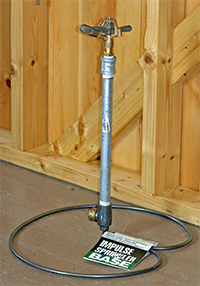 Wide spacing will increase air circulation and help reduce disease problems. Mulch under your tomato plants with pine needles or another mulch to prevent fungal spores found in the soil from splashing up onto the tomato foliage and infecting your plants. Practice good sanitation in the garden. 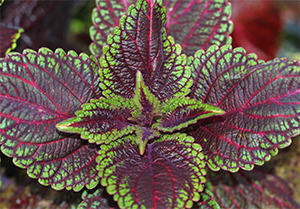 Remove and destroy diseased foliage (do not compost) as it occurs. 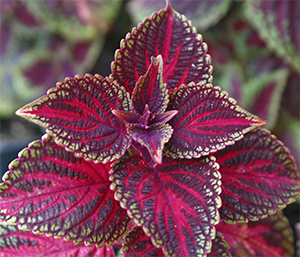 In the fall, clean the garden area and remove old stems and other plant debris. 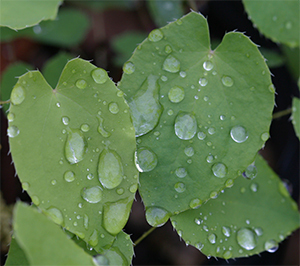 Spray with recommended fungicides to protect your plants from infection. The Viettes recommend that you alternate spraying every two weeks with Bonide Liquid Copper fungicide and either Bonide Mancozeb with Zinc, Bonide Fung-onil, or Daconil. Always read and follow the label directions. More information on growing tomatoes. “Get growing!” and until next time – Happy Gardening. Your eyes are stinging, your nose is running, and everything outside is covered with a coat of yellow! When will it end? That is the question that was posted on our Discussion Board this past weekend. 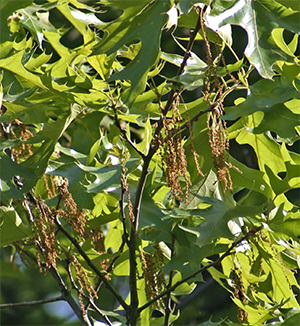 Oak catkins dangle down from the branches where the wind will catch the pollen and disperse it to adjacent trees. Well … it’s hard to say. 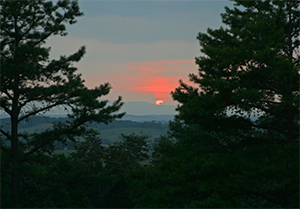 Most of the wind blown pollen in our area of Virginia comes from oaks and pines. Because these trees rely on the wind to disperse their pollen to female flowers on adjacent (and not-so-adjacent) trees, they produce A LOT of pollen! This pollen travels far and wide on the wind currents (hundreds of miles in some cases). It lands on your car, your deck, your deck furniture, your sidewalks and driveway … everything in its path gets covered with a “lovely” yellow haze. Our home is surrounded by beautiful oaks and wonderful tall pines and often when we sit out on the deck in the spring, I will watch pollen billow out of the trees like yellow smoke when the wind blows! Normally, the first blast of pollen comes from the oaks. They produce pollen on male flowers called catkins which are the long caterpillar-like structures that you see hanging down from the high branches. The female flowers, once pollinated, will develop into acorns. 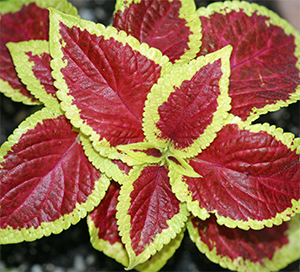 These flowers are produced well before the leaves are fully out. That way, the pollen has “clear sailing” and is not blocked by the leaves! Very clever, that Mother Nature! 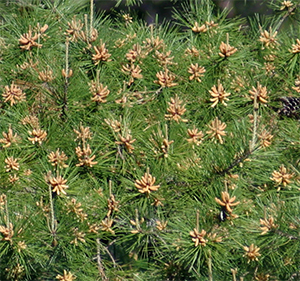 The male cones of pine produce copious amounts of pollen which blows far and wide to pollinate female cones on other pines. Pines produce both male and female cones, usually on the same tree. The seed producing female cones are usually found on branches higher up towards the top of the tree while the male cones, which produce ubiquitous amounts of pollen, are found on lower branches. This greatly improves the chances of outcrossing in these trees. When the pollen is shed, it is not likely to blow straight up to the female cones on the same tree but rather travel out and up, eventually pollinating a female cone on and adjacent tree. Before you get too upset about the ankle deep pollen all over your deck, car, etc, here’s something to ponder. The pollen from trees and other plants that has been deposited on the earth every spring for eons is so distinctive that there is a whole field of study, called pollinology, devoted to identifying different species based on their pollen grains. Different kinds of pollen taken from soil cores can tell us all kinds of cool stuff like what species of trees have grown in an area over the past, say, 10,000 years! This information gives us a pretty good idea of how the climate has changed over this time. Layers of pollen from soil cores have revealed how the northern conifer species (firs and spruces) migrated southward during the Pleistocene glaciation and how, as the climate has warmed over the past 10,000 years, the southern species have returned. My majestic pines frame a beautiful summer sunset. I wouldn't trade them for the world! Well, I for one think that’s pretty neat! I also wouldn’t trade my beautiful pines off my deck for any other tree. They are awesome and have always reminded me of camping with my family in the mountains of Colorado when I was little! And those pines (and mine) smell sooooo good!